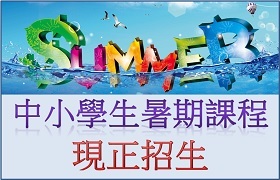 Our aim is to promote the teaching and learning of English phonetics in Hongkong. Our teaching centre, the IPA Learning Centre, is an Education Bureau registered school located in Kowloon. We provide high quality English phonetics (IPA) and pronunciation courses for people at all levels of spoken English. The course "Practical English Phonetics and Phonology" is one of our most popular choices. We are very proud to say that the quality and popularity of this course has been key to establishing the good reputation of IPA (HK). Mr Derek Kwok, the Course Lecturer, is an experienced phonetics educator with over 10 years teaching experience in English phonetics. His innovative teaching techniques and moderate sense of humour make the complex phonetics principles all the easier to understand. 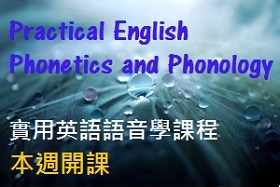 The courses "English Phonetics Classes for Students" and "Practical English Phonetics and Phonology for Teachers" have provided students and teachers of English in HK with a better channel through which to understand the most important theories and key skills in pronunciation and many other features of spoken English. As this Web Site comes into existence, we can now offer our students of phonetics with continuous learning and practice support. The pages under our "Club News" section are especially dedicated towards this goal. We believe that through this Web Site, the students of IPA (HK) will be able to further enrich their knowledge of English phonetics and pronunciation even after they have completed our courses.